Happy Owl Studio designs and manufactures innovative products that enhance the user experience and integrates emerging technology into daily life with high style and serious function. 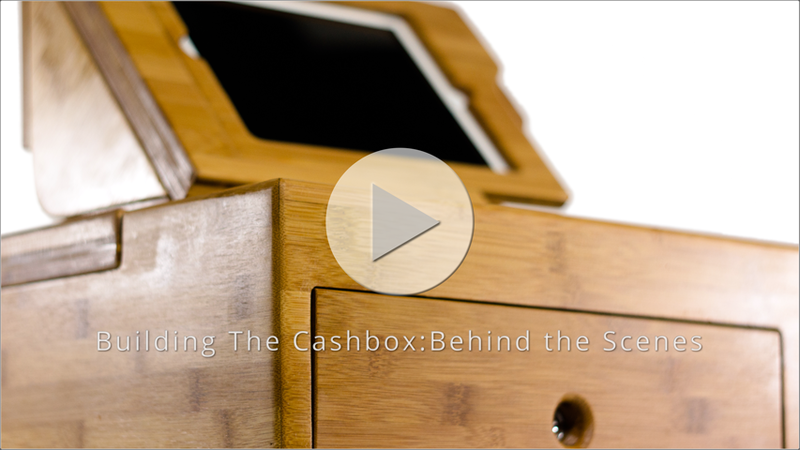 The latest design, The Cashbox, turns an iPad into a full-featured POS. Standing apart from other iPad POS hardware, this iPad cash register is made in the USA of sustainable, organic bamboo. The Cashbox iPad point of sale system is easy to use, eco-friendly and visually stunning, but it costs less than a traditional POS. If you are looking for an iPad cash register with full POS features, check out The Cashbox.